The increasing reduction of sea ice in the Arctic is changing the behavior of polar bears. Because they are spending more time on land, they are interacting with people much more frequently, occasionally with deadly results. A study, published in 2017, looked at 144 years’ worth of polar bear attacks on humans in the Arctic. 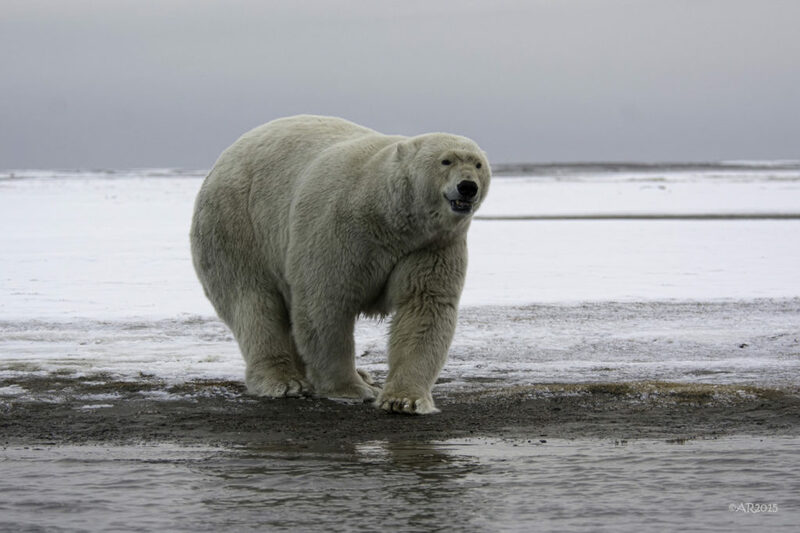 Between 1960 and 2009, there were a reported 47 attacks by polar bears on people – between 7 and 12 per decade. Between 2010 and 2014, as sea ice reached record lows, there were 15 attacks, a record for a four-year period. Since 2000, 88% of attacks have occurred between July and December, when sea ice is at its lowest level of the year. Last July, a young male polar bear attacked and killed a man who was berry picking with his children. A month later, a mother polar bear attacked and killed an Inuit hunter and injured two others. This was the first known fatal attack by a mother polar bear. As a result, Inuit communities in the Nunavut region are asking for higher legal polar bear harvest quotas, arguing that bear populations have increased to a dangerous level. These recent human fatalities have also provided an impetus for developing new non-lethal conflict-resolution tools than can be used in northern communities before more people as well as bears are killed. There are now polar bear patrol teams tasked with driving bears away from settlements. There is a bear hotline and electric fencing around sled dog compounds. The changing face of the Arctic is creating growing stress on the polar bear population and on the people who make their home in that region. Photo, posted September 28, 2015, courtesy of Anita Ritenour via Flickr.